Three-to-five days used to be the standard for all online order deliveries. Then “next day service” was unveiled – which was great, but customers knew they were going to pay extra for it. 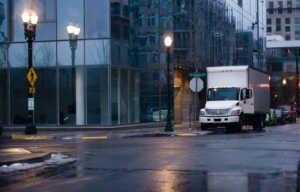 Today though, as our Cleveland trucking services providers are aware, it’s becoming increasingly common for consumers and B2B operations to order items in the morning and expect its doorstep arrival that same afternoon – free. Cleveland trucking services are at the center of this market evolution. Choosing the right local trucking company to ensure your goods and products reach their destination intact and on-time – whatever that timeline is – is a critical decision. It’s one that has been made even tougher by the truck driver shortage, as well as an ongoing tightening of truck capacity. Although long-distance hauling and freight shipping are unquestionably still important in this industry, same-day shipping will require a trusted local pick-up and delivery. 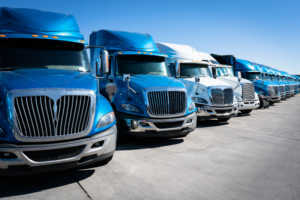 The American Trucking Associations reports there are approximately 500,000 trucking companies in the U.S. and 3.5 million truck drivers, who collectively move more than 70 percent of the country’s freight by weight. The Cleveland trucking services offered by On Time Delivery & Warehouse are just a small part of this critical cog in the economic wheel, but we’re committed to being out ahead of evolving markets – and that includes with same-day delivery demands. Hire an Ohio 3PL or Keep it In-House? Thinking about hiring an Ohio 3PL? Operational complexities inevitably expand when the company does. Higher demand and more stock keeping units put added pressure on pickers and packers. At some point, businesses need to consider whether it’s worth it to keep supply chain management in-house or if they should hire an Ohio 3PL. 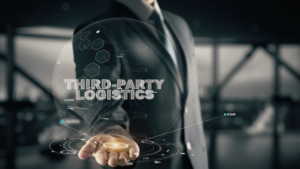 3PL, short for third-party logistics, is an outside firm used to handle distribution and fulfillment services to keep the supply chain running smoothly. Both in-sourcing and out-sourcing arguments have merit, but the right choice is going to be highly case specific. It’s our goal at On Time Delivery & Warehouse to help you determine whether a hiring an Ohio 3PL makes the most sense for your current operations and projected growth. We want our customers to plainly see the benefits of a contract with us, so we encourage all potential clients to ask lots of questions and give existing clients the ability to track it all in real time. Many business leaders have reached the conclusion that 3PL is the way to go, as evidenced by the facts revealed by a new market research report on 3PL Service Outlook projecting the global 3PL market will reach $925 billion in the next two years. Third-party logistics is more than just a contract. It’s a relationship. On Time Delivery & Warehouse 3PL partners trust us to perform materials management and product distribution functions, but for us, it goes beyond that. We represent an extension of our client to their clients. Many shippers need customized offerings with a broad range of capabilities – encompassing freight shipping, trucking, warehousing and distribution. We deliver that. Ultimately, though, it’s about forging a long-term, mutually-beneficial accord. Market research released by IBISWorld last month revealed there are nearly 19,000 third-party logistics providers in the U.S. – a figure expected to grow the next five years, given the uptick in consumer spending, industrial production and trade. Northeast Ohio and other areas around the Great Lakes are concentrated in 3PL providers because of the high volume of manufacturing, trade and other commercial activities. That means shippers have an array of choices in third-party logistics options. Choosing the best for your needs means weighing a host of factors (i.e., expanse of valuable carrier networks, service areas, supply chain and freight costs, freight accounting, performance auditing, punctuality, scalability, financial strength, responsiveness, technological tools/ data-sharing, excellent industry references, corporate culture, etc.). However, evaluation of the third-party logistics relationship shouldn’t stop once you’ve signed a contract. Truck driver benefits and wages are ballooning across the U.S., even as freight-hauling capacity has diminished in the face of ever-higher demand. In turn, small businesses (especially retailers and distributors) are saddled with soaring shipping charges, an expense that’s proven crippling for some. Truckers deserve good wages for the vital job they do. But businesses hoping to stay afloat would be best-served with a Cleveland 3PL partnership to help keep costs in check. The American Trucking Associations group, representing owners of fleets, reports annual trucker salaries climbed 15-to-18 percent in the last four years, with the exact rise varying based on the nature of fleets and routes. Overall, private fleet driver salaries topped $86,000 last year – a $13,000 increase from just four years prior. A truckload driver on irregular national route (basically an entry-level post) can now expect to pull in about $53,000 – up from $46,000 just a few years ago. This trend is not braking anytime soon, The Wall Street Journal reports, because the demand for trucking is higher than ever and companies are increasingly counting on freights with full truckload and less-than-truckload capacity to ensure consumer expectations are met. One silver lining for our clients is trucker turnover is down, meaning those on the road are increasingly more experienced – and that’s a very good thing in terms of reducing roadway liability. Some elements of this higher-cost transportation landscape simply can’t be avoided. Even with higher pay drawing in more drivers, there are still only so many truck drivers, so many trucks and so much space. As a trusted Cleveland 3PL, On Time Delivery and Warehouse leaders work to help minimize this impact for our customers. To augment reliability and consistently meet demands of this new standard “get-it-there-sooner” market, we must offer competitive truck driver compensation. We must supply them with the best equipment, as well as advanced transportation management software to ensure efficiency. But we also work to help clients sift through an expanse of carrier options to pinpoint the best choice. We identify and bridge supply chain gaps that bleed businesses of time and money. We offer transparency so clients can track their goods at every leg of the journey. The U.S. truck capacity shortage is putting a serious kink in supply chains across the country. The trucking industry is saddled with increasingly stringent regulations, dwindling drive time hours and fewer drivers entering a field that’s already understaffed. Economic growth – while certainly a good thing – has compounded the capacity issue, and it isn’t likely to wane anytime soon. Getting ahead by partnering with a reputable 3PL provider in your region will improve your supply chain transparency and lower your costs long-term. No industry is untouched by the truck capacity deficit because virtually all businesses – large and small – rely on efficient trucking to keep goods flowing – intact, on budget and on time. A top-tier Cleveland 3PL provider like On Time Delivery & Warehouse can help mollify your truck capacity troubles by addressing inefficiencies and performance gaps in your supply chain. These weaknesses will have an increasingly profound effect on productivity and profits in the current climate unless you tackle them head-on. Most companies need help to do it right. In our increasingly global economy, intermodal shipping and effective supply chain management is essential. Staying ahead of competitive pressures and keeping pace with growing customer demand has meant businesses of all sizes are discovering greater opportunities by going global. When you want to optimize profits, sourcing from regions with the lowest costs for procurement, assembly and manufacturing makes sense. So too does commercializing your products in areas with high demand. However, it’s not without risk. Global supply chains with intermodal shipping (some combination of air, sea, truck and rail) are inherently more complex. Anytime there is the flow of goods, services, information and payments across international boundaries, business leaders must be sure there is skilled coordination of these efforts. This is where a Cleveland intermodal shipping and 3PL service like On Time Delivery & Warehouse proves especially beneficial. Managing the global supply chain in-house is too often more trouble than it’s worth, even under ideal conditions. Throw in a natural disaster, political unrest or fluctuating oil prices, and companies quickly become overwhelmed scrambling for alternatives. Contracting with an experienced 3PL that has a comprehensive risk management strategy already mapped helps largely alleviate your headaches. The Amazon effect is named for the multi-billion dollar online retailer that sells everything from podcast equipment to pools – usually delivering in a matter of a couple days or even hours. Our Cleveland freight shipping experts know that once-upon-a-time (not so very long ago), companies used to capture customers on their own terms. Now, the Amazon effect means customers expect to be addressed on their terms – and on their timelines. It’s not quite as fast as a fairy godmother, but it’s often pretty close. That means freight shippers must keep up – and we’re committed to doing just that. 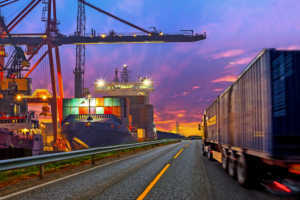 Freight shipping and 3PL providers that used to launch strategic planning initiatives every three years now need to make sure improvements are constant. 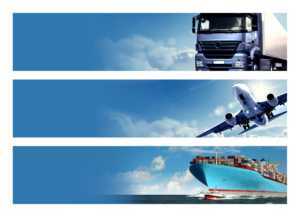 On Time Delivery & Warehouse is dedicated to guaranteeing our Cleveland freight shipping services and supply chain operations are agile and responsive and employ the best people and technology available – all while making safety a top priority. The best inventory management systems go beyond just tracking products and materials. Basic warehousing involves overseeing the storage, outflow and receipt of your goods. But even first-rate businesses find it daunting to do so on their own with perfect accuracy. Working with a dedicated Cleveland 3PL warehousing partner can help you meet customer demand and overcome the accuracy and logistical snags that too often trip up otherwise competent companies. A few years ago, researchers at Harvard Business School looked closely at the inaccuracy of inventory management systems. In an empirical analysis of more than 370,000 inventory records at 37 stores managed by one retailer, study authors discovered a stunning 65 percent of inventory records were inaccurate. The study, published by the journal Management Science, identified the top means of streamlining inventory management and reducing errors. These included regular auditing practices and use of cutting-edge inventory software programs that offered real-time monitoring. The 3PL warehousing and inventory management services offered by On Time Delivery & Warehouse in Cleveland give you these options and more. 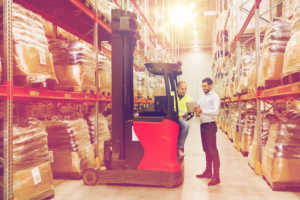 By having a third party supervise your inventory management and supply chain distribution, you can focus on business development and other critical operation and growth initiatives. For small businesses, a reliable transportation partner is key to successfully scaling operations. LTL shipping refers to “less than truckload,” meaning the shipment doesn’t require an entire full-sized trailer. Cleveland’s On Time Delivery & Warehouse offers both FTL (full truck load) and LTL shipping, with local pickup and delivery at competitive prices. By moving goods from several different customers on the same truck, LTL shipping options provide a cost-effective method for customers who don’t need an entire rig to fulfill each order. 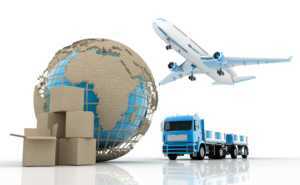 LTL shipping rates are generally determined by class, weight and distance needs. Beyond lower costs, LTL shipping also helps reduce your carbon footprint and give you a greater variety of services (local pickup and delivery, liftgate deliveries, Haz-Mat certified transport and same-day/ next-day deliveries). 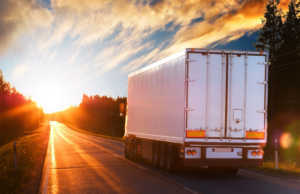 More than 70 percent of all freight (commercial goods transported via air, sea or land) moved in the U.S. goes on trucks, which carry more than 10.4 billions of tons of freight annually, according to the American Trucking Associations. In the coming months and years, the Journal of Commerce reports demand for these services is expected to climb, as the federal electronic logging device (ELD) mandate that went into effect in December is raising the bar for loading and unloading speed requirements and necessitating better routing guides. Plus, many large corporations are ramping up “America first” efforts, pushing expansion of U.S. manufacturing activity. Meanwhile, online retailers are striving to keep pace with faster, cheaper delivery expectations of consumers. While it’s important for business leaders to understand the challenges and evolving dynamics of LTL shipping in Northeast Ohio, they need not compromise on high expectations for service, quality and pricing. E-commerce is a rapidly-advancing supply chain frontier, driving demand for well-placed public warehousing in Northeast Ohio. But simply providing empty space isn’t enough for many businesses. Effective third-party logistics (3PL) involves a trifecta of quality warehousing, shipping and fulfillment – and it all must be done from a strategically advantageous location. 3PL warehousing and distribution itself isn’t new. It’s a cornerstone business strategy that can streamline the flow of goods through the supply chain by helping you control costs, limit over-stocked inventory and arrange timely transportation. Whether you’re a small start-up company staking a presence or a large firm intent on seizing ripe opportunity in a new area, 3PL warehousing at On Time Delivery & Warehouse offers desirable options for smart scaling of your operations in Cleveland and beyond. Our 3PL warehousing experts recognize the complexity of fluctuating logistics and will work to help you tailor a public warehousing and distribution plan that fits. Although many companies initially seek public warehousing as a short-term solution, these arrangements often turn into long-term relationships for On Time Delivery & Warehouse. Businesses find our 3PL warehousing and distribution services are not only convenient but key to their ongoing competitive edge.